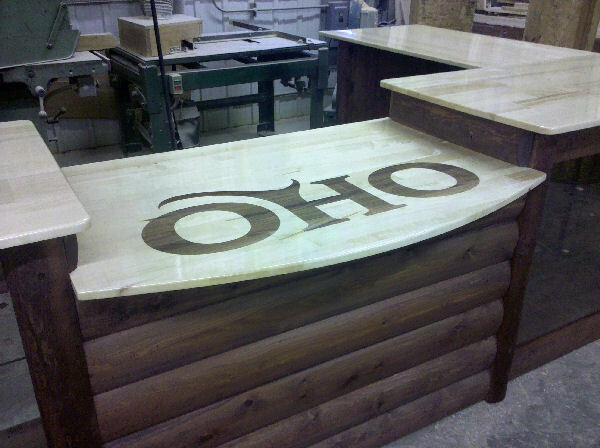 Have something in mind you'd like custom made for your cabin, house or outdoor space? Our professionally skilled artisans and woodworkers will design and create, from start to finish, your handcrafted custom rustic log furniture piece. All of our rustic log furniture is made of solid Michigan White Cedar right here in Michigan. We can also Customize Log Furniture Sets/Groupings we have in our Store to fit your needs. Be sure to call us, we can save you money on our log furniture groupings 906-753-4072. Email our Custom Log Furniture specialist or Call Us Today to talk about your Custom Log Furniture. Whether you're right down the street or across the miles, we can transform your vision into a reality you will enjoy for generations. 906-753-4072. We can make custom displays for your point of purchase displays. 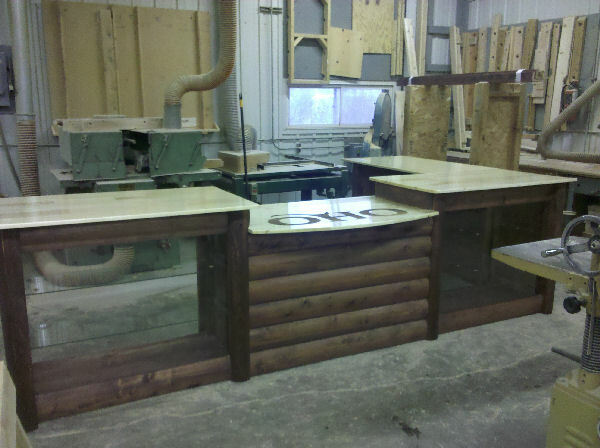 Pictured below are some of the custom cedar log furniture projects we worked on for a clothing company. Not only does the custom retail displays make your products stand out , they help your sales increase by the fact your standing out. Plus the custom displays we manufacturer can actually help company that are trying to get into the bigger department stores. Notice all the little details we can do to get your brand out there. for the registers of a store.